With Midtown Cocktail Week falling perfectly during this issue (it takes place Aug. 15—21 at various bars and restaurants), we took it upon ourselves to dedicate “Submerge Your Senses” to this oh-so-delicious week filled with unique cocktails, cool hands-on classes, exciting competitions, fun themed parties and so much more. If just for this one week, set the High Life down, back away from the IPA and indulge in the finest cocktails and mixed drinks from the region’s best bartenders. Outlined below are a few of our editors’ picks for the week. For more information, head to Midtowncocktailweek.org. One of the coolest things about Midtown Cocktail Week is their lineup of hands-on home bartender classes. First up is the “How to Throw a Punch Bowl Bunco Party” class on Monday, Aug. 15 from 2 p.m. to 4 p.m. at Restaurant Thir13en (1300 H Street). In this class, home bartender students learn how to create tasty punch bowl drinks (both with and without alcohol), perfect for your next party or gathering. All students take home a punch bowl and their very own recipes. The class is just $25 and lunch is included. Next is the “Home Bartender 101 With a Taste of Italy” class on Saturday, Aug. 20 from 2 p.m. to 4 p.m. at Hot Italian (16th and Q streets). 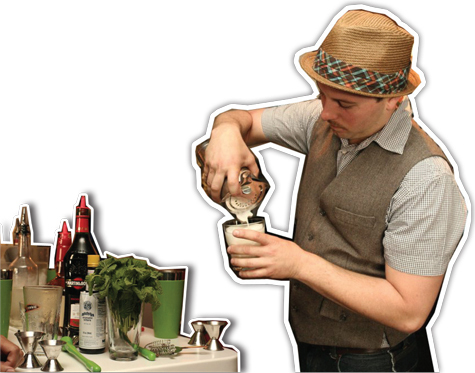 Taught by last year’s Midtown Cocktail Week Mixology Competition champion Russell Eastman, this class will give students some insight into basic bartending skills for either entertaining guests or for concocting your ultimate home recipes with, of course, Italian influences. All students take home a special gift bag and lunch is included with the $25 ticket. 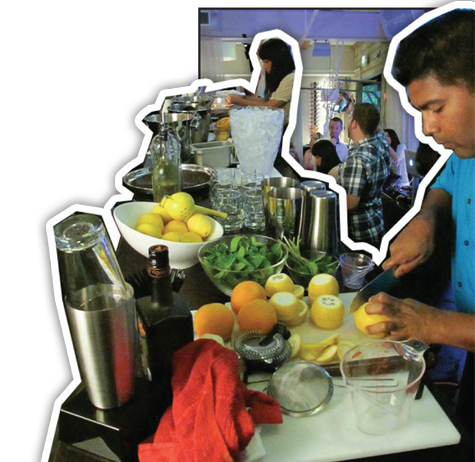 The third and final offering is the “Home Bartending 102 With a Thai Twist” class on Sunday, Aug. 21 from 1 p.m. to 3 p.m. at Level Up Lounge (2326 K Street). To take this class you will need to have basic knowledge of home bartending skills and a previous class under your belt. It will be taught by a local celebrity bartender, and students will enjoy five cocktail and cuisine pairings, all the while learning about flavors and techniques involved in Thai mixology. Each student will take home a special gift bag and tickets are just $25. For $10 extra you can snag a complete home bartending kit, or if you sign up for both the Saturday and Sunday classes, the kit is free! Already a bartender? There are “Industry Only” classes for you, too! They are even free of charge, and all Sacramento-area bar staff is welcome. 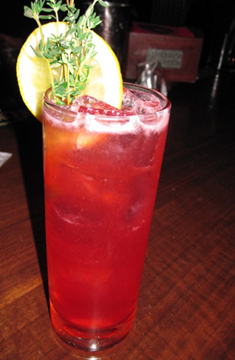 For more information on those, visit Midtown Cocktail Weeks’ website. This will be by far the nerdiest event during Midtown Cocktail Week, not that that’s a bad thing. Everyone’s got a little nerd in them (some more than others). On Saturday, Aug. 20 from 5 p.m. to 8 p.m. at Lounge on 20 (1050 20th Street), witness a night of science-meets-mixology. One of the hottest trends in the cocktail world at the moment is “molecular mixology” and at this event you’ll get to witness some of the mad-scientist type stuff go down right in front of your own eyes. Molecular mixology is the term applied to the process of creating cocktails using the scientific equipment and techniques of molecular gastronomy, also a popular trend in the food world. Using these methods bartenders around the world are creating greater intensities and varieties of flavors and textures and are finding different ways of presenting drinks, for example using powders, gels, foams, mists, atomized sprays, etc. Sounds cool, right? That’s because it is, so don’t miss this event. Extra credit points for those who dress in a lab coat and safety goggles (not really, but that would be pretty awesome if you did). Who Will Be Named Midtown Cocktail Week’s Mixology Competition Champion? One event you’ll be sure to want to attend is the Mixology Competition on Tuesday, Aug. 16 at Red Lotus (2716 J Street) from 6 p.m. to 9 p.m. Cheer on some of your favorite bartenders from the region, including (but not limited to) Dominique Gonzales (representing Zocalo, the only female in the competition), Chris Tucker (representing Golden Bear), Josh Carlson (representing Lounge on 20), Travis Kavanaugh (representing Shady Lady) and Robbie Schmitz (representing Lucca Restaurant and Bar), as they concoct delicious and unique punch bowl style cocktails. The 10 contestants all drew out of a hat one week prior to the competition to determine what spirit they will be using in their punch bowls so they could plan out their drinks. The five top-shelf spirits they chose from included Oxley Gin, Appleton Estate Reserve Rum, Famous Grouse Scotch, Casa Noble Tequila and Buffalo Trace Bourbon. Who will win the coveted title? You’ll have to show up to find out! After the competition, follow the crowd upstairs to Blue Cue for a rocking after party featuring live entertainment and guest bartenders. On Wednesday, Aug. 17, Shady Lady (1409 R Street) is hosting a late night (9 p.m. to closing) event called The Stately State of Local Food and Drink where guests will enjoy artisan food and drink pairings from Shady’s infamous bartenders and chefs. Come thirsty and hungry, leave tipsy and full.